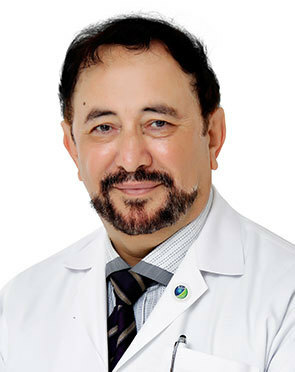 Top doctors in Sharjah . Dr. Fawaz has around 30 years of experience in Oral & Maxillo Facial Surgery. 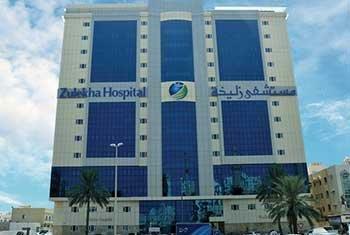 Currently, Dr. Fawaz is working in Zulekha Hospital, Sharjah as Consultant - Oral Maxillofacial & Dental Implant Surgeon. After his graduation from Tehran University, he joined Ministry of Health Sharjah as a Dental GP On October 1980. He earned his Fellowship in Oral MaxilloFacial Surgery FFDRCSI Dublin-Ireland. Dr. Fawaz was a Fellowship Resident "Doctorate Degree Program DMD" in Maxillofacial Cranial Surgery Department of Zurich University Hospital School of Medicine Switzerland. He is also a Member of European Association for Cranio-Maxillo-Facial Surgery "EACMFS" and Member of Mal Practice Medical Investigation Committees in MOH & DHA. treatment in Sharjah can be availed at highly affordable cost, as compared to the rest of the medically advanced countries and cities in the world. The best hospitals in Sharjah are equipped with all the modern and world-class facilities, medical technology and equipments used to deliver quality treatment to patients from around the world. In addition, the best doctors in Sharjah hold a great expertise in handling all kind of emergencies and complications related to the medical condition. A combination of all these factors make Sharjah a popular destination for medical tourism. cost in Sharjah is one of the biggest reasons why thousands of medical tourists decide to seek medical treatment in top hospitals in Sharjah . The cost of in Sharjah is just a fraction of what it costs in other medically-advanced countries and cities. The availability of quality medical treatment, latest technology, advanced machinery and equipment at nominal cost is something that attracts thousands of medical tourists from around the world each year to Sharjah . Moreover, the affordable treatment is provided by highly experienced doctors in Sharjah , who not only help cater to the medical needs of the patients, but also understand any need for surgical intervention.